Urinary incontinence — the loss of bladder control — is a common and often embarrassing problem. The severity ranges from occasionally leaking urine when you cough or sneeze to having an urge to urinate that’s so sudden and strong you don’t get to a toilet in time. If urinary incontinence affects your daily activities, don’t hesitate to seek help. For most people, medical treatment can ease discomfort and even stop urinary incontinence. 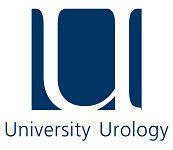 Contact University Urology with your questions and concerns about Urinary Incontinence.